What you’re about to read is a series of journals I wrote during the 2015 Del Close Marathon. If you don’t know what that is, don’t worry. I explain it. But forget whatever time it is now and transport yourself back to June 27th, 2015. 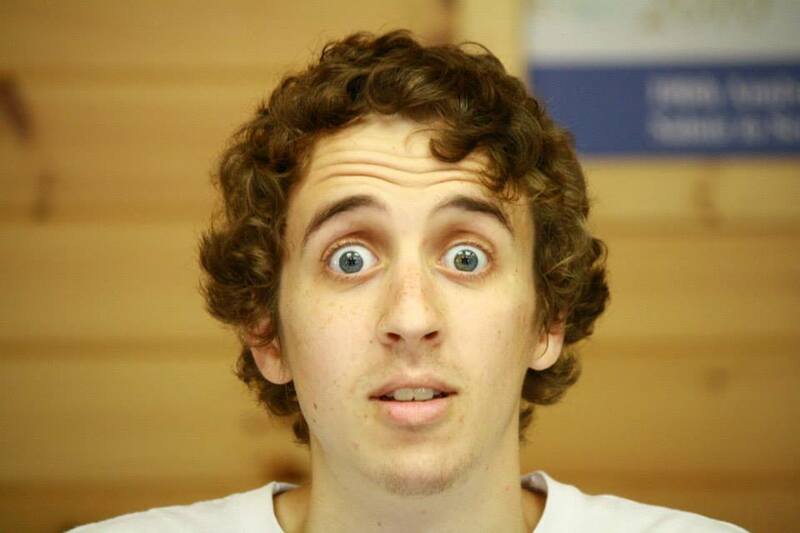 I questioned whether to release this as a post. Is it even worth talking about? Or am I just bragging about seeing a lot of improv in one weekend? Well either way, here it is. Thanks for reading. It’s currently 1:46 AM on what is now Saturday, June 27th. I should be sleeping. I have work in the morning. Is it morning? I have work in the now. Instead I just microwaved two hot dogs for dinner and finished off the remnants of a comically oversized Dasani water bottle that was full when my night began. Aside from a now empty bottle, I’ve also gained something else in my travels: A hitchhiker on my wrist, a bright orange band that says “17th Annual DCM 2015 – General Admission.” I paid a lady $35 and she attached it to my wrist, sealing my fate for the weekend. Of course, as with all wristbands I wear, it has now traveled well up my forearm despite using over half the holes provided for its tightness. The $35 fee also explains my choice of dinner for the evening. But I couldn’t be happier. I couldn’t even begin to tell you WHEN I’ve been happier. That sounds much more depressing than I meant it to actually. What I’m really saying is that I’m happy. Don’t think about it too much. I stood in line for an hour to sit in a hot, sweaty, slightly smelly theatre for 3 hours with 200 other people and watch people make stuff up. And it was brilliant. I’m not doing any name-dropping about who I saw. That’s not what this is about. (But if you ask me personally, I will absolutely not hesitate to tell you how many of my favorite comedians I’ve seen already.) It’s about what I saw. I saw people doing what I want to do. What I do…do. Sort of. I came into this year’s Del Close Marathon with high expectations. A lot of famous funny faces are in town for a 72 hour long non-stop celebration. A celebration of the art of improvisation and the contributions Del Close made to its continued existence. I expected all 6 of the 30-minute long shows in the block I saw to each be the greatest thing I’ve ever seen. 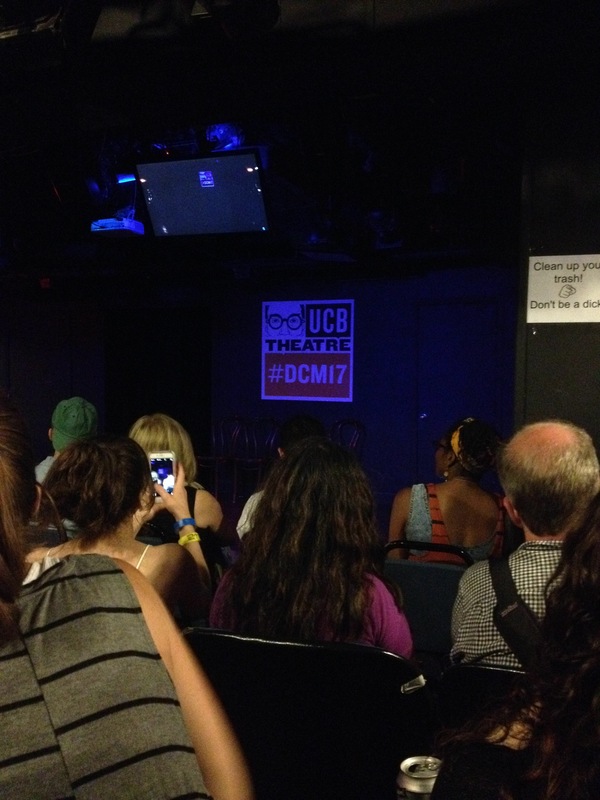 I was at Upright Citizens Brigade’s Chelsea location, one of the bigger and better venues for the DCM. They were supposed to all be fantastic. The fascinating thing is that they weren’t. Now I laughed in every show I saw. But then again, I laugh at everything. Some of my favorite things to laugh at are ridiculous puppets and poop jokes. If someone put a sock on their hand and made a fart noise with it, my head might just explode. But the audience, myself included, didn’t consistently laugh at all of them. And that shocked me. A huge part of the early teachings of UCB is not to try and be funny. It seems counterintuitive, I know. But the humor needs to come naturally. So by those standards of not trying to be funny, one of the shows was FANTASTIC. There were only two performers and it was one long scene, no cuts, breaks, tap-outs, or wipes of any kind. And they weren’t no-names either. One of them would definitely be a face you’d recognize. I won’t name him/her to spare that person the possible shame. But it just wasn’t good. They weren’t listening to each other. There were a lot of “I don’t know” answers, a lot of visible thinking, and far too many unmotivated and unnatural pauses. I was awestruck at how these people were so awful compared to the other shows I’d seen earlier. 12+ improvisors lined from one side of the stage to the other, 5 British people and a guitar, and even a one-man show were all better than these two. It really humanized DCM as a whole for me. These are just people doing improv. They have good nights and bad nights just like everyone else. I’m planning on writing two more of these after my next two nights of DCM, so I should probably wrap this one up. Seeing the varying skill levels tonight was so inspiring. It makes me want to press forward to get to the level of quick thinking, sharp & concrete decision making and character building that these people can do. Time to fill up my water bottle and start all over again tomorrow. Tonight’s dinner is a turkey sandwich. I chose to venture farther downtown to the UCB East Theatre tonight for two reasons. It was raining and I’m a baby and I don’t want to wait in line. I walked in mid-show to the sounds of roaring laughter as three improvisers from Poland did some sort of interpretive dance onstage for about 30 seconds. Their time promptly ended. The night continued with act after act of performers creating and destroying scenes, sometimes simultaneously. There were good groups and bad groups just as I had seen before. Again, I’m not going into detail about the people I saw. Instead I’ll share a couple of memories that stuck out to me. Listening plays a vital role in improv. In order for a scene to be successful, every person onstage has to listen to every OTHER person onstage at all times. Teamwork is key. The last act I saw tonight was just two people. But they played off each other so well that one performer’s description of how delicious his food was made his partner get so excited he snapped his own neck. And it was hilarious. One particularly lackluster group from Boston, however, was not. The person who was starting most of the scenes had a HUGE problem with listening. He would drastically change the structure of what was already established because he hadn’t paid attention to what the details were. He often inserted himself into scenes just to deny what was being presented to him and make something else up instead. He felt disconnected from the rest of his fellow improvisors and it definitely showed. It really made me think because of how different it was than the first act I saw tonight. No, not the three dancing Polish girls (although their choreography was pretty solid), the first group I saw from beginning to end. It was one long scene between two people. I had horrible flashbacks to last night’s experience of this. But I was surprised to see that the two pulled it off beautifully. It took them quite some time to get to the actual meat of the scene, but they were true to the reality they had established and didn’t force anything. It was all authentic. Trust and authenticity are building blocks to all things in life. Look around you. Whoever constructed that building had to trust each member of the architecture team, construction crew, and management to ensure the structure would stand and not topple over. Or get built upside down or something. I don’t know how buildings work. I guess my lesson for tonight is that you have to trust those you work with and allow them to trust you. It makes for a better time for everyone involved and it can make the seemingly impossible possible. You might even snap your neck over it. In a good way. 10:02 PM. A slice of pizza. Let’s move forward. Improv jams are beautiful things. They allow people from all skill levels to come together and try their hand at making stuff up with other strangers. It can get messy. It can get funny. And it can get too real FAR too quickly. For instance, tonight’s jam started with two people. Trapped in an underground bunker for 10 years. By a child molester. That’s just how these things go. I spent a lot of time in line outside before the jam thinking about what I’ve seen this weekend. My thoughts drifted into the jam itself and how excited I was to apply everything I’ve learned and focused on to try and be at top form when it was my turn to go onstage. Instead, I heard my name called and suddenly forgot all of it. I wasn’t very good, I won’t hesitate to admit it. I didn’t listen and instead of letting things happen organically, I tried to force things, missing out on key details in the process. Like being 10 years off on the time when Bush v. Gore took place. Jams are great. I love them. I love seeing them and I love being them. The problem is the train ride back. I’ve got nothing but time. Time to overanalyze every move I made and start coming up with things that would’ve been more true to the scene or more clever or more inviting. Then I get inside my head and by 59th Street I’m quitting improv because I’m terrible at it. And I have to stop myself because that’s ridiculous. Not the thought of me being terrible at improv. That’s still very possible. But being overcritical of myself for absolutely no reason. I think back to the first night, at that terrible, awful pair of entertainers who weren’t entertaining in the slightest. They had a bad night. I think back to last night and that annoying guy from Boston who tried too hard and got nowhere with nearly every scene he was in. He had a bad night. To think I’m immune to that; to try and set myself to such a high standard that every time I go onstage I HAVE to be at my best is insane. We’re all human. We’re all trying to figure out our place in the world and how we choose to impact it. Sometimes we fall short and that’s okay. The key is to acknowledge those shortcomings and learn from them. That’s it. Like an improvisor running out from offstage and making a half circle to wipe a scene, it’s a fresh start. Of course, knowing that I’ll be right back out there for another jam on Wednesday night helps. Great read 🙂 DCM was lovely this year! ← SNS #12: When Did I Get So Old?